Tax reform, housing finance overhaul and immigration action are top industry issues. As various housing groups ponder their legislative agendas for 2015, there are some common issues that come up. For instance, even though the various housing groups represent different interests, tax reform and housing finance reform are major issues, alongside of immigration reform. Movement on legislative items in 2015 will be against the backdrop of a Democratic president trying to get things done in the face of a Republican-controlled Congress. While the National Leased Housing Association (NLHA) is concerned about any fallout on affordable housing program funding as a result of any push for deficit reduction, the Institute of Real Estate Management (IREM) feels more positive about the outlook on matters such as carried interest taxation. Jim Tobin, National Association of Home Builders’s (NAHB) senior vice president of government affairs, expects more of a balanced approach from the nation’s representatives. He says, “Our issues cut across party lines. Housing is really a bipartisan policy objective. Whether it is Republican or Democratic control, it isn’t that much of a factor.” He expects that it will take the Republicans some time to set their committee agendas, with the staff changeover, while the Democrats’ agenda will just basically roll over into 2015. On the tax front, one priority that housing groups are focused on is getting an extension on the 9 percent and 4 percent credit rates on the Low Income Housing Tax Credit program. 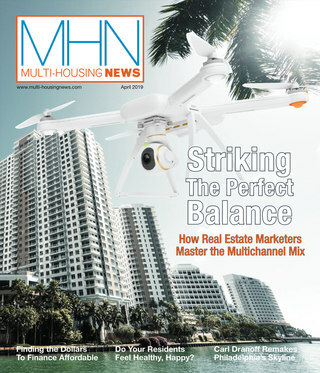 The NLHA, National Multifamily Housing Council (NMHC) and the NAHB all see this as an important issue. This is a part of the tax extenders bill to extend some tax provisions and could even have been taken care of by the end of 2014. However, it could continue to be an issue in 2015. For IREM, maintaining preferential tax treatment on carried interest is a major priority. Beth Wanless, IREM’s senior manager of government affairs, says, “It’s one of those bread and butter issues for our organization. Real estate investment [entails] risk—not everybody benefits from it. It’s a tangible asset, and you can’t pick up your multifamily property and move it to another country for a more favorable tax treatment.” Thus, according to her, carried interest is an issue that impacts real estate partnerships no less than hedge fund managers, and preferential tax treatment should be maintained. 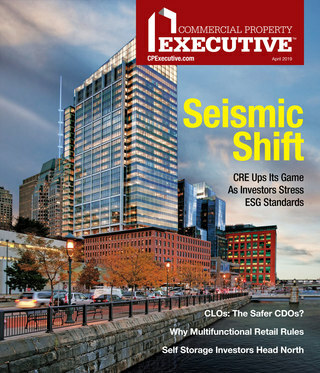 Another tax issue IREM is working on is the 179D tax deduction, a federal tax deduction for owners and lessees of commercial and multifamily properties with four or more stories. And the NMHC is also working on maintaining depreciation benefits for multifamily buildings and also maintaining current benefits for the so-called 1031 exchange or like-kind exchange property sales. Housing finance reform is another important item on the 2015 legislative agenda for housing groups. The NMHC is focused on making sure that representatives understand how the multifamily sector is different from the single-family sector as they consider reforming the government-sponsored entities. The multifamily industry group has worked with both sides in the last Congress to craft multifamily-related proposals included in the Johnson-Crapo bill for GSE reform, according to Cindy Chetti, NMHC’s senior vice president for government affairs. One thing that could renew Republican interest in GSE reform is some of the actions their regulator, the Federal Housing Finance Agency, might be considering, according to Chetti. And NAHB’s Tobin notes, “We’re still waiting to see capital flow into the housing sector, the way it did prior to the downturn. So for us the lead factor is, what will they do with Fannie Mae and Freddie Mac?” Tobin aims to continue to take forward the Johnson-Crapo GSE reform proposal in 2015. A new leader for the Senate Banking Committee is another change for 2015 that could impact the GSE reform situation. Considering that as much as 25 percent of the construction industry labor force is foreign born, according to Tobin, immigration reform is another major 2015 issue that the NAHB is watching. Tobin says that multifamily builders complain about a lack of available labor to work on their projects. This means that NAHB sees an immigration bill that “allows people to come into the country and work in construction” as important for the long-term stability of the housing construction industry. Immigration reform is also a priority for the NMHC, which reports that, besides providing a construction labor force, immigrants are a big source of demand for rental housing, heading one out of every five households that rent members’ apartment homes. Thus, the NMHC would like a better e-verify system for employers to verify employee legal status, and also visa programs to address labor shortages in the construction industry. There are also some other legislative issues the housing groups are working on. Getting a long-term extension on the Terrorism Risk Insurance Act (TRIA), for instance, is one item that the NMHC, IREM and NAHB are all interested in. Proposals for U.S. Postal System reform calling for a centralized cluster system, rather than door-to-door mail delivery, are also on the watchlist, along with environmental regulation in the form of the waters of the U.S.A rule that, by expanding the definition of navigable waters, could impact the cost and time for building a housing property. And the legalization of marijuana use by a number of states has created some issues for property managers that IREM is also working on. At the end of November, the housing groups were expecting some forward movement during the lame duck session on important matters such as an extension of the TRIA and LIHTC credits and getting long-term funding for government through all of 2015.